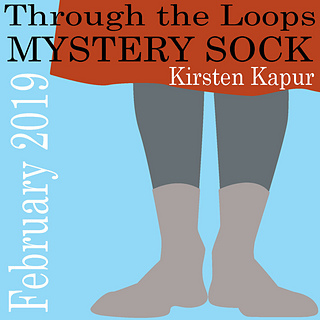 Welcome to the Through the Loops Mystery Sock 2019! 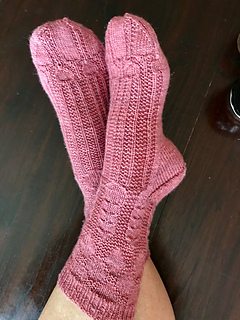 Please join the Fans of Through the Loops group on Ravelry to participate in the KAL, ask questions, and show off your progress. Please ask questions in the Ravelry group rather than in private messages or email. 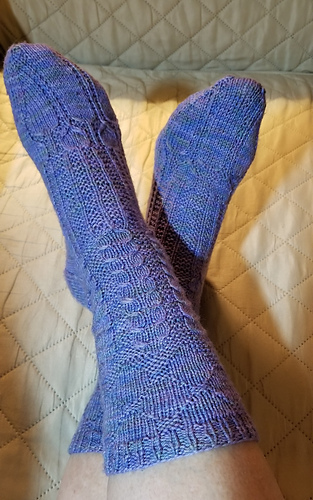 thread in the Ravelry group. We will have spoiler threads for each week of the KAL. A note about sizing: Socks are meant to be worn with negative ease. This means that when selecting a size you should choose a size that is 1.5-2.5” (3.75-6.5cm) less than the circumference of the foot and ankle. If there is a large difference between the foot and ankle, select the size for the foot and adjust the needle size for the leg to make it larger or smaller. Measurements: 5.75 [7, 8.25, 9.5]” (16 [18, 20, 24]cm) circumference at foot and leg. The foot length is customizable. For most knitters one skein of the called for yarn will be enough. 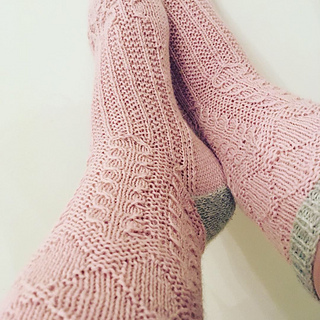 However, for larger feet, particularly when making size XL, a second skein may be required. 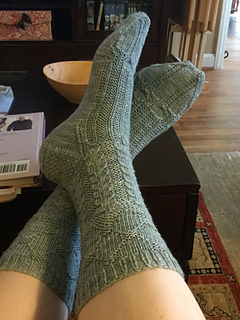 Some knitters choose to work around this by using a contrast color for the toes and/or heels. It is important to check your gauge and adjust your needle size as necessary. Do not assume that you will use the same size needles that are called for in the pattern. I cannot emphasize this strongly enough. The needle size given is just a suggestion — every knitter is different. 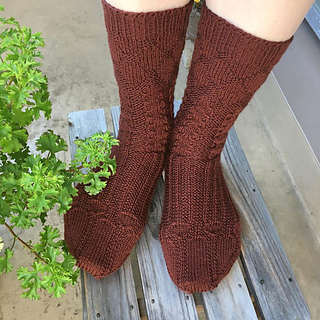 Yarn Choice: I highly discourage variegated, speckled, and self striping yarn for this pattern, as they will obscure the stitch patterns. Solids and gradients will work well. This pattern contains both charts and written instructions for all stitch patterns. Be sure to refer to all of the instructions for each clue before knitting the stitch patterns, otherwise critical information may be missed.